Metal-semiconductor-metal (MSM) photodetectors (PDs) with interdigitated Pt finger electrodes were fabricated on Ge films grown epitaxially on a (100) Si substrate (Ge-on-Si) by rapid thermal chemical vapor deposition (RTCVD), and the effects of the finger dimensions on their optoelectrical properties were investigated. The two-step Ge heteroepitaxial growth technique through RTCVD, where a Ge seed layer was used in first-step growth at 350° C followed by second-step growth of a Ge film at high temperatures (500° C), led to the formation of a high-quality Ge epitaxial layer with excellent surface and interface morphologies. The dark current of Ge-on-Si MSM PD increased with decreasing finger width/spacing, which could be associated with electric field crowding near the contact electrode. As a result of the significant creation of electronhole pairs followed by their subsequent drift through the Ge epilayer toward the finger electrode, the Ge-on-Si MSM PDs exhibited a considerable spectral response to wavelengths in the range, 1530–1550 nm, regardless of the finger dimensions. A higher electric field was observed in the finger electrodes closer to each other, which enhanced the collection efficiency of the photo-generated carriers, which could be responsible for higher responsivity of Ge-on-Si MSM PDs with a smaller finger width/spacing. 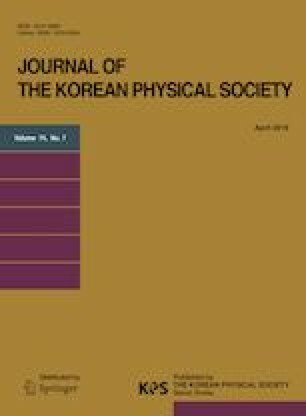 This study was supported by the National Research Foundation of Korea (NRF) Grant (NRF-2017R1A2B2 003365) funded by the Ministry of Education, Republic of Korea, and by the Korea Basic Science Institute under the R&D program (Project No. C38521) supervised by the Ministry of Science and ICT, Republic of Korea.